These AWRG games are played by two members refreshing their memories on the rules. These two players use to come to the club when we were based at Lindfield. 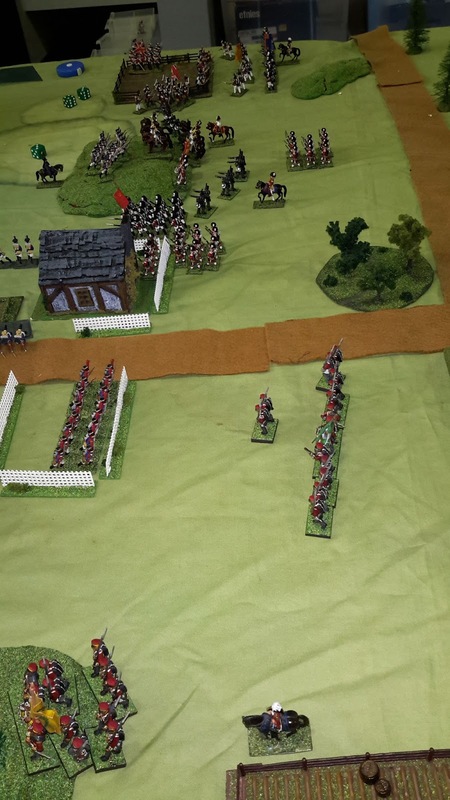 The British and French are having it out. 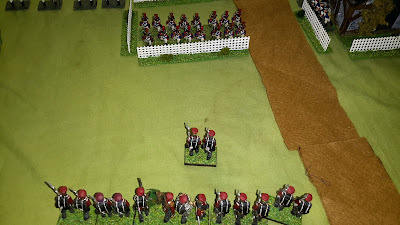 Is that the 42nd? 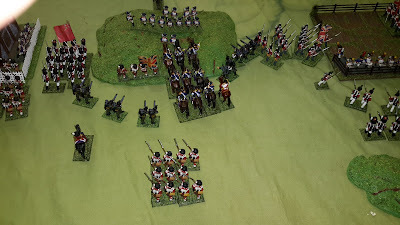 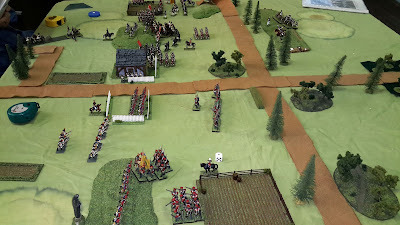 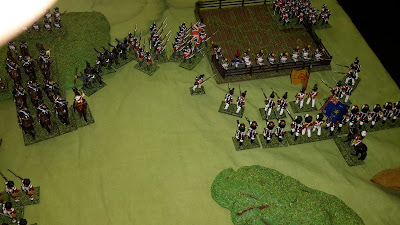 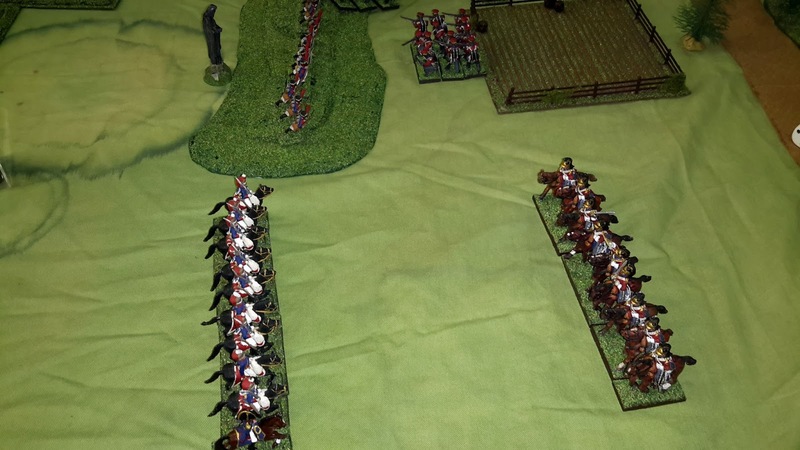 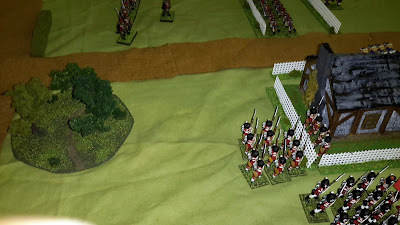 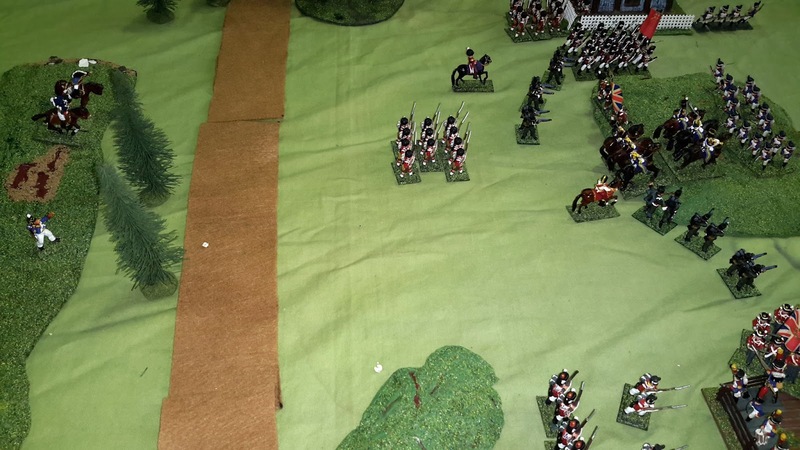 Is that the British Foot Guards and others closing in on some plucky Voltigeurs? 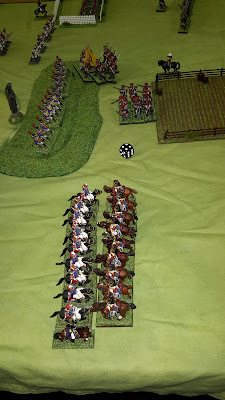 Need to take more photos of these games.